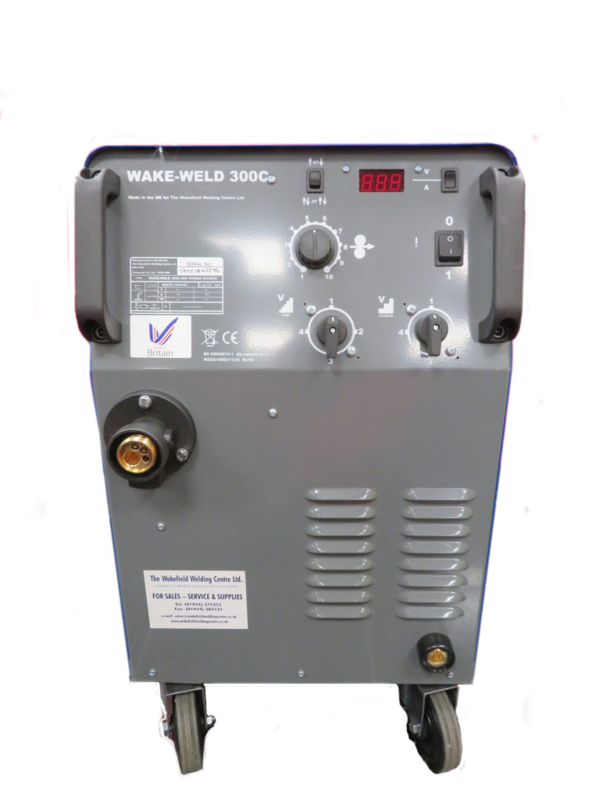 The Wakefield Welding Centre Ltd are proud to announce the launch of the WAKE-WELD range of welding machines. These machines are designed and manufactured in Great Britain using high quality components to industrial standards. 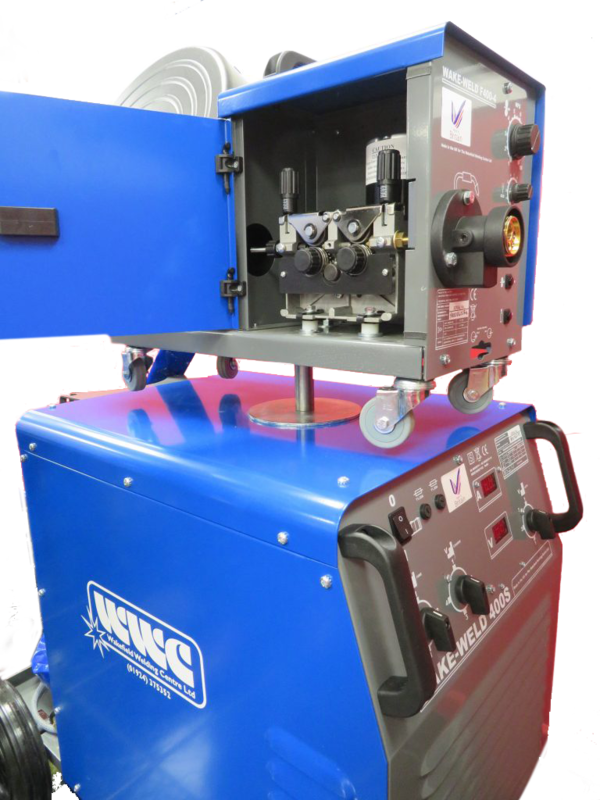 These models offer the user the very best welding performance with minimal spatter and a soft stable arc throughout the range. At the heart of every machine is a large copper wound transformer & other heavy duty components all constructed in a robust powder coated steel case. 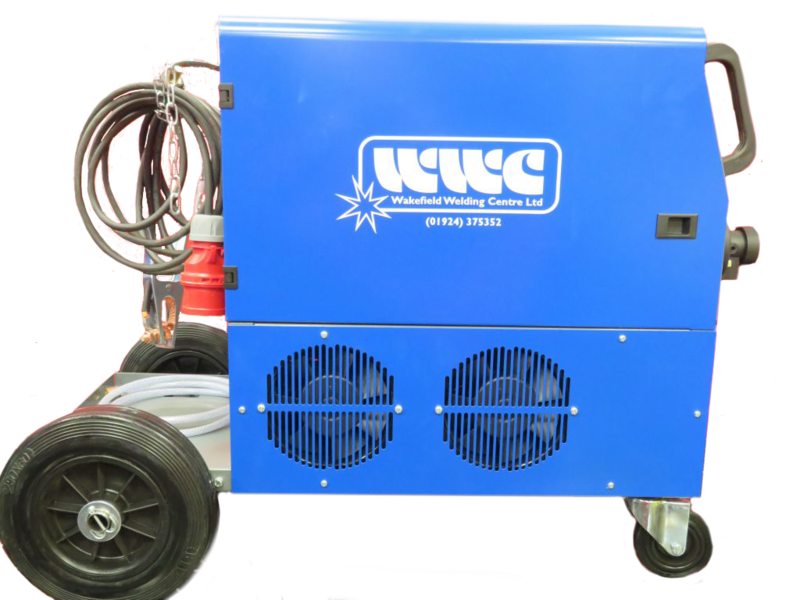 Power consumption of these models is kept very low with no load power of around 120W & typical efficiencies around 90% this is better than most other transformer based MIG machines and virtually equal to inverter machines so you can be sure of the lowest running costs. Good range of volt steps for very fine adjustment of power. Super smooth welding characteristics through the range. High efficiency of over 90% to minimise electric usage. Easy setting infinitely variable wire speed control. Torch trigger latching fitted as standard. 2T / 4T trigger functions. Wire inch & gas purge functions. Can be used with all wire and spool sizes. Very strong chassis & steel case. Quality wire drive system and powerful motor. All models have an all metal 4 roll drive. 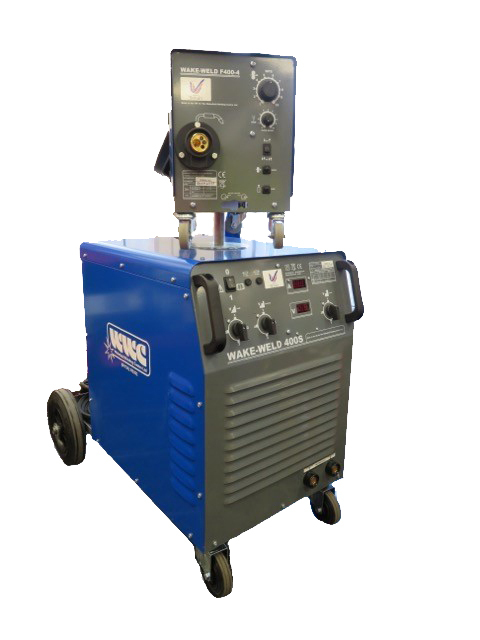 WAKE-WELD 400S Separate Mig Welding Package.